Some would argue that tenderloin is the king of steaks. I personally prefer fattier cuts like Rib-eye, but tenderloin is always a crowd pleaser and people seem to be impressed by it. Especially when its cooked perfectly; it will melt in your mouth. Follow this guide, and you will get perfect tenderloin every time. I always sous-vide my beef tenderloin. For me, it’s the best way to cook it exactly how I want it with no guess work. You basically set it and forget it. I use the Nomiku for all my sous-vide cooking. I definitely recommend looking into one. 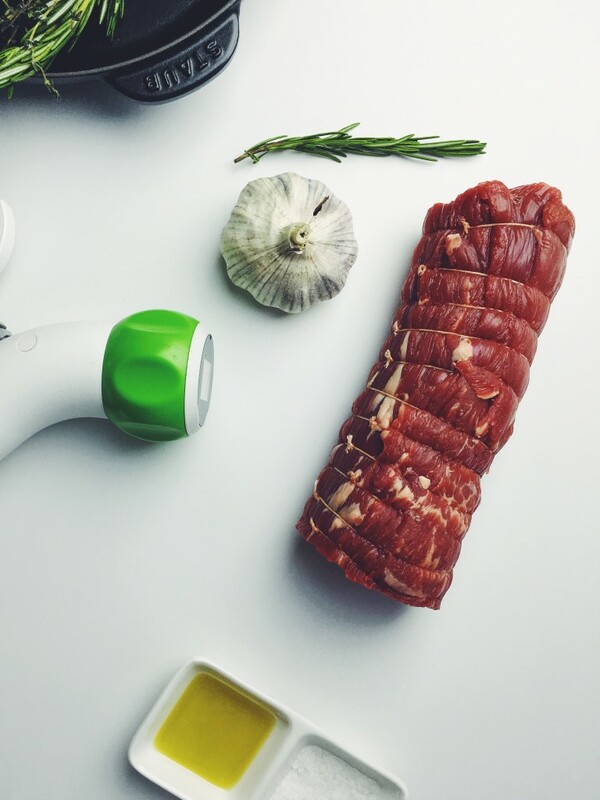 You can use my code, “thechefdan” for an additional $35 off when you preorder the wifi Nomiku. Enough about that, onto the recipe. 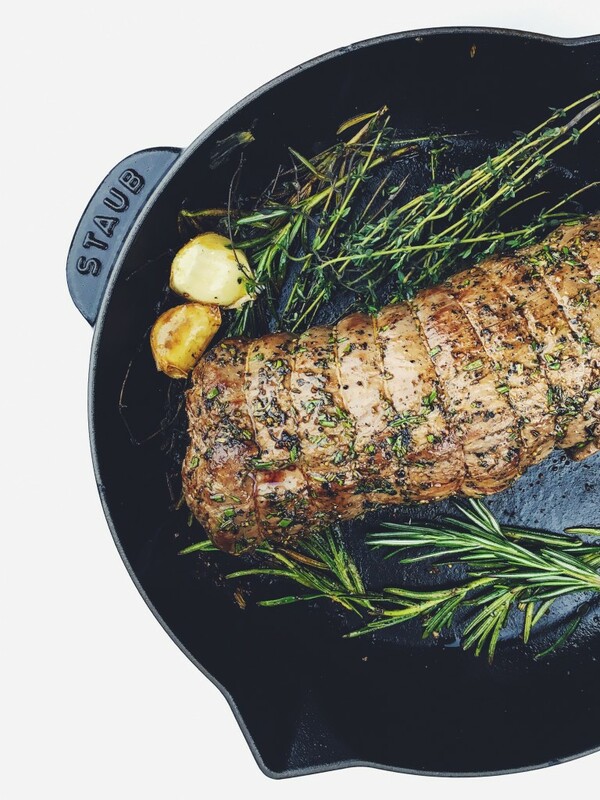 Place the whole tenderloin into a large ziplock back and add about 3 full sprigs of rosemary, about 5 full sprigs of thyme, 2 cloves of garlic, and a generous drizzle of olive oil. Seal using the water displacement method, or alternatively using a vacuum sealer if you have one. While still sealed in the bag, shock the tenderloin in ice water for 2 minutes then remove it and pat dry with paper towel. .
Heat cast iron skillet on high and allow the tenderloin to come back to room temperature. Generously season all sides of the tenderloin with salt, pepper, and finely chopped rosemary. When the skillet is hot, add butter, a clove of garlic, and the remaining rosemary and thyme. Sear the steak for about 1 minute on all sides while basting with the butter every once in a while (you will probably want to open a window for this as things might get a little smokey). There is not need to rest sous vide meat, it is ready to be eaten right away!